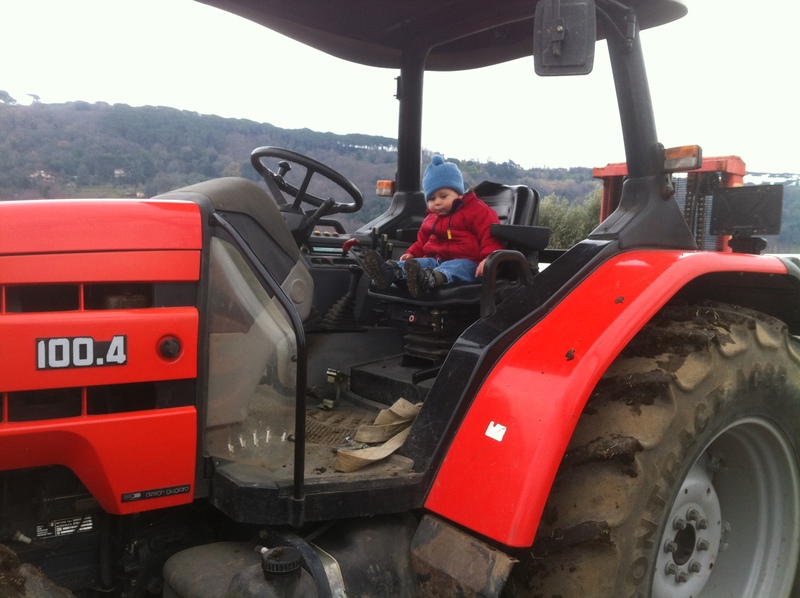 Yesterday and today, Siri, Felix, and I visited three farms near Rome one unbelievably cute farm that’s about one acre, one, Caramadre, that’s about 14 acres, and another, Orto di Giobbi, that’s about 80 acres. Of the three farms we visited the 14-acre farm is organic and the other two, like us, grow organically but choose not to certify. After we’ve visited more farms on this trip, we’ll write a post (or two) about specific things we’ve seen and learned. Until then, here are some pictures and some initial thoughts and observations. 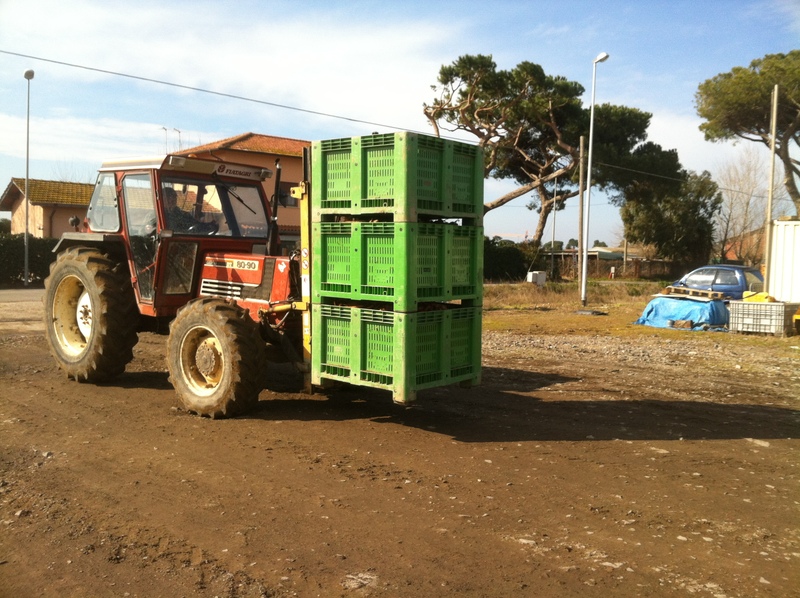 All three farms are part of a new/old movement in Italy where farms sell direct to consumers. It seems that, a long time ago, like more than 30 years, all the farms in Italy used to sell directly to consumers. Every day of the week there were markets all over the cities and towns and each farm had their spots at their markets which they went to, week in and week out. The parents of the farmers we met sold at markets throughout Rome, and these farmers continue to sell at many of the same markets as their parents. However, the children of many other now-retired farms didn’t want to farm, so many of the markets around Rome were forced to allow vendors to sell fruits and vegetables they didn’t grow themselves. Whereas before most fruits and vegetables came from small farms, few larger than 10 acres, increasingly, fruits and vegetables were coming from ever larger farms, more consolidated farms. Markets in Rome became much like the Pike Place Market: grocery stores with more character. Italians continue to buy fruits and vegetables from small, neighborhood markets, bread from their local panetteria, meat from their local butcher… but for the most part, the fruits and vegetables at the local markets aren’t grown by the vendor. Apparently, sometime around the turn of the millenium, various organizations throughout Italy decided that this trend away from the localized, smaller-scale agriculture was a bad thing. As I mentioned in our last post, a few different groups sprang up and started American-style farmers markets throughout Italy. For instance, a group called Campagna Amica (friends of the countryside) seems to run or sponsor a bunch of markets throughout Italy; the City of Rome sponsors a market. According to one of the farmers we met, this trend towards direct marketing has been a boon for him and his smaller-scale farmer friends. Nevertheless, the prices of vegetables here in Italy are unimaginably low. 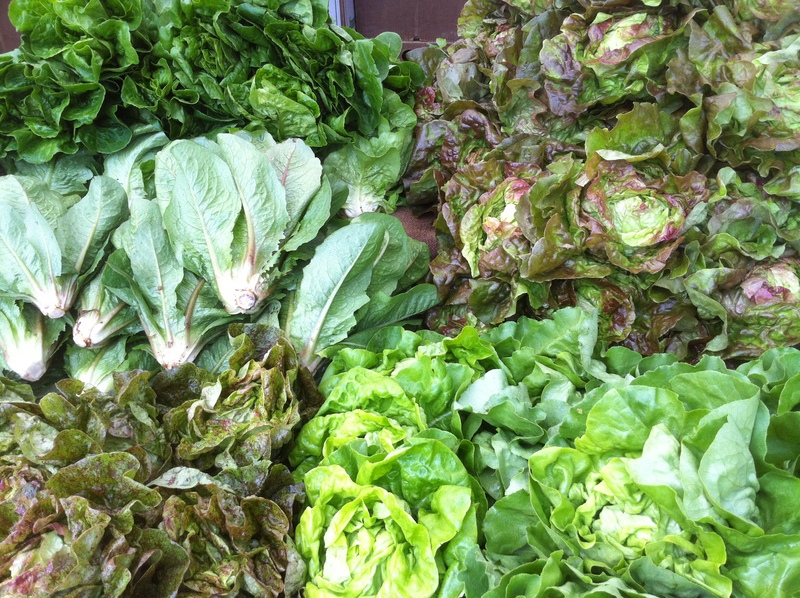 We bought beautiful heads of butter lettuce for 0.65 Euro cents each. This head of fennel only cost 0.68 cents. The quality of produce in the grocery store is very high, yet prices are very very low. 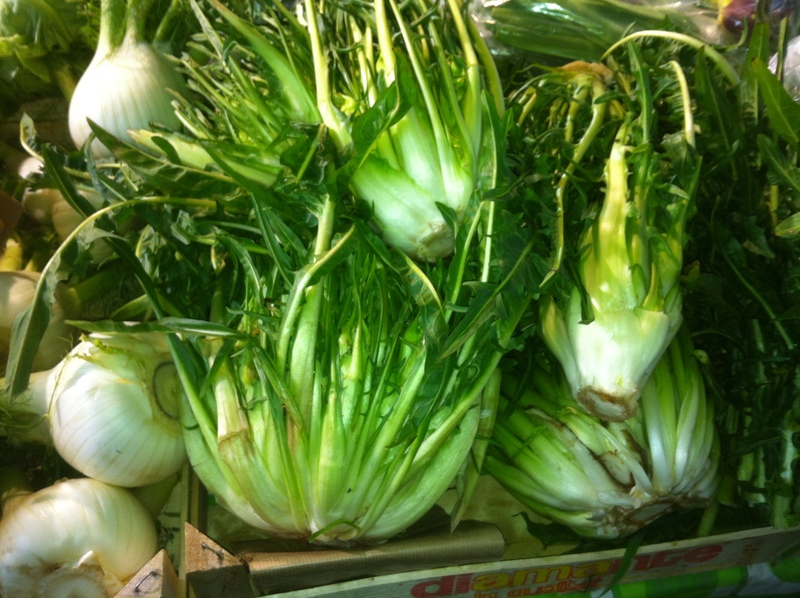 Cheap fennel, big as a baby's head! The prices the farmers get for produce sold directly is much higher than they get when it’s sold into the wholesale chain. Nevertheless, just like us, prices for produce sold directly are heavily influenced by the retail prices of produce. 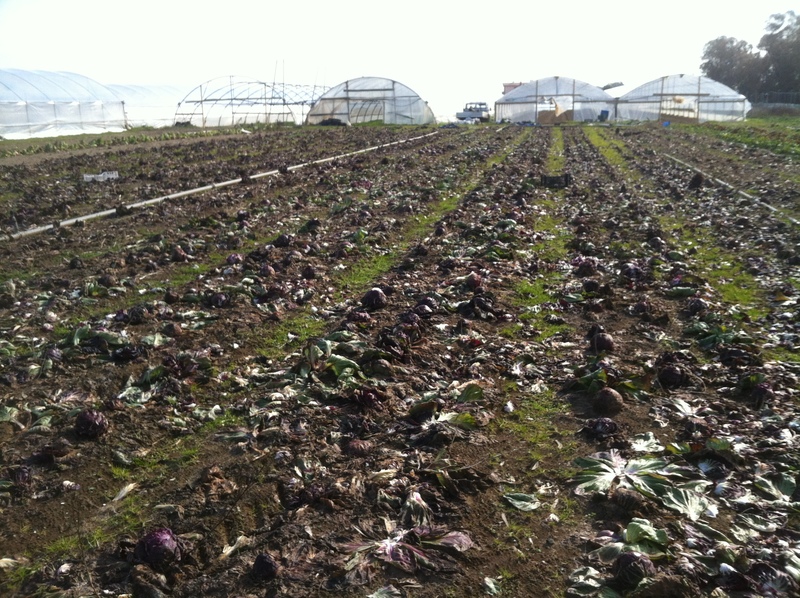 One farmer told us today that the retail price for heads of lettuce are so low that he’s nearly stopped growing it… a huge contrast to our operation. The retail price of lettuce in Seattle is relatively high, and it’s one of our most profitable crops. 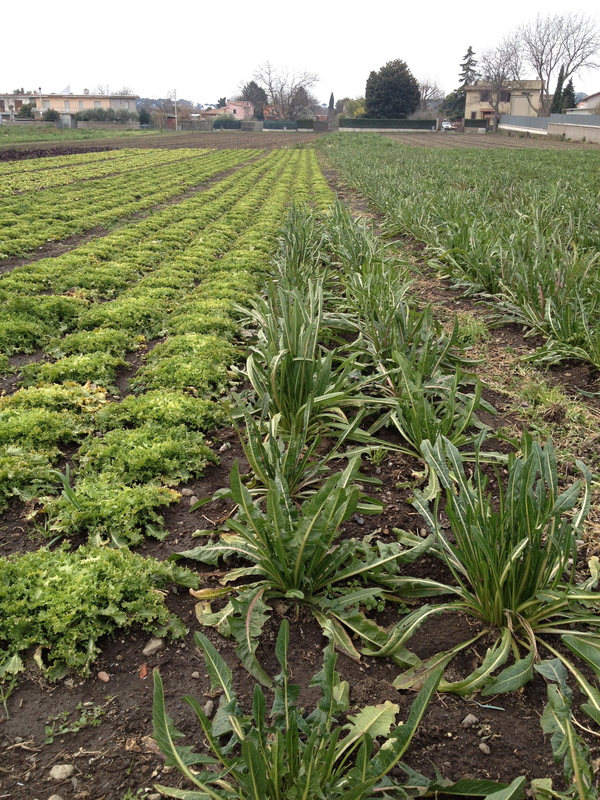 One question these farm visits have raised for us is how it’s possible for farmers (here in Italy, in California, in Seattle) to make a living when they can sell a head of lettuce, a bulb of fennel, a bunch of kale for mere pennies. Clearly, huge farms are able to make a profit when they only make pennies on each item by simply moving tons and tons of their products, (not to mention paying their workers slave wages, exploiting the longterm environmental viability of their farms, using tons of chemicals, etc). Yet, prices here are so much lower than in America, these things can’t completely explain the difference. My theory is that, despite increased consolidation of farms in Italy, they are still relatively small, production is still quite localized and seasonal (the mild climate helps), and the supply chain here is much much shorter. California (and Florida in the winter) basically supplies all of America with our produce. Your typical grocery store vegetable passes through many middlemen between the California farm where it was born and the grocery store in Massachusetts, Ohio, Texas etc where it winds up. So what does this all mean? Does it mean small farms, selling within a regional market, directly to customers (or even into a short supply chain wholesale market) can make an honest living despite competition from large-scale, monoculture farms? 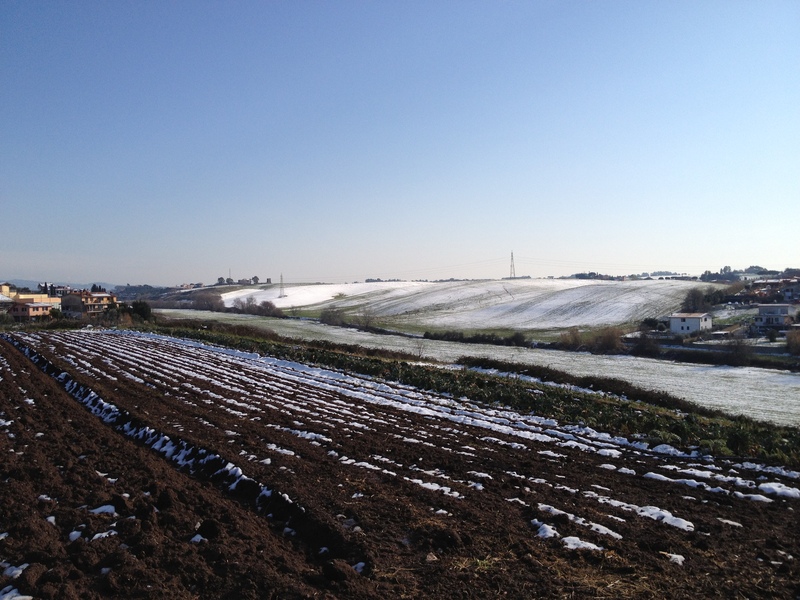 Perhaps… All the farms we’ve visited so far appear quite successful in their own way. After we’ve had more time to decompress and marinate on all we’ve seen, we’ll post more details about each farm. Until then! 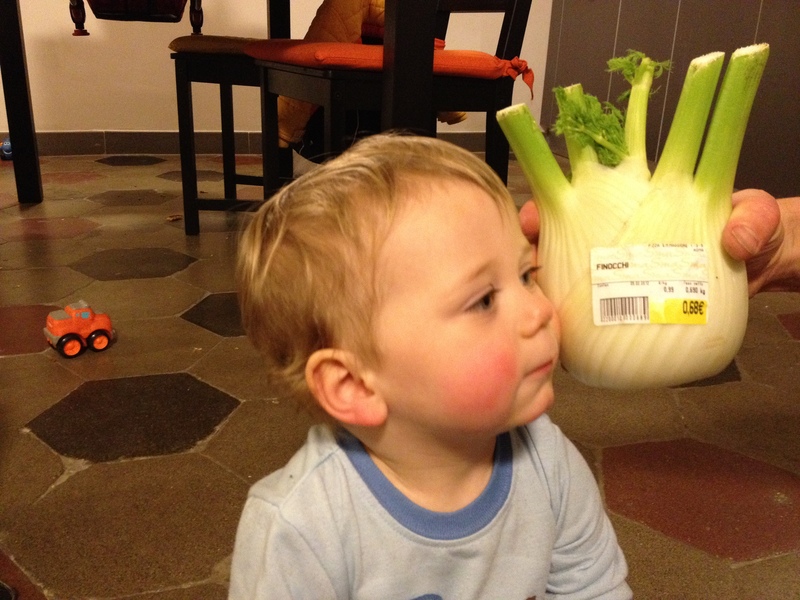 Love, the fennel and Felix pic…hilarious! Safe travels friends.